Posters only really started developing in 1850, once lithography had been improved and perfected. 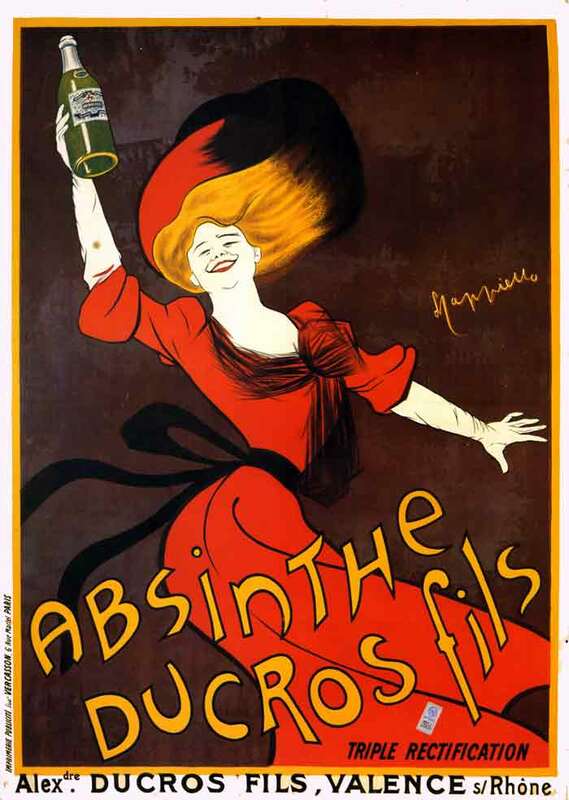 The first great poster artists such as Chéret, Toulouse-Lautrec, Steinlen targeted pedestrians and people in horse carriages. Due to the fact that they moved slowly, they had time to actually look at the posters. These were large prints with an extremely detailed drawing. As cars start developing, people start moving faster. Posters no longer have enough time to grab pedestrians’ attention. They need to engage them faster. Cappiello understands this change very well; as soon as 1900, he is going to define the bases of what will later be called the ‘modern poster’. He tells us: ‘when I conceive a new poster project, my first preoccupation is finding that blotch. That thing which is hard to define, that from a distance, will catch the eye of a passer-by by the intensity of its color, will tickle and tease him with its various shades and hold his attention long enough thanks to its pleasing aspect to force him to read the poster.’ (Annales Politiques et Littéraires, June 1st, 1907). 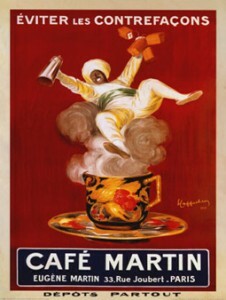 He invents the theory of the arabesque: ‘essential structure of the composition is backbone in a way, the decorative part which will link together the various elements of the poster to give it ‘the shape’’. 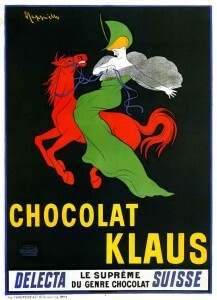 He creates what we call today the logo of a brand: Maurin Quina became known mainly thanks to his representation of it: ‘The green devil’, Klaus by ‘the chocolate of the red horse’, Villiod: by ‘The man with the key’… The company Thermogène writes in its adverts after the publication of Cappiello’s poster: ‘Demand the fire-breathing Pierrot’. 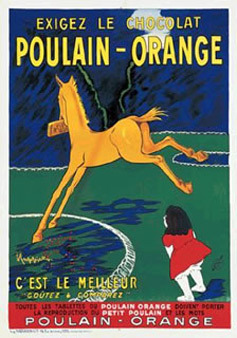 As for Chocolat Poulain, Cappiello’s little horse still runs around on its packages. There are still today, a 100 years later, many examples where the patterns Cappiello used for his posters are still being used to represent the brand. He was the first to dare try to sell a product without actually representing it on the poster. In cities, which are often sad and monotonous, the streets become his galleries. His posters are wonderful stand-alone decorations. Their fireworks of color bring joy through their chromatic oppositions. They are not only lively, but also dazzling. 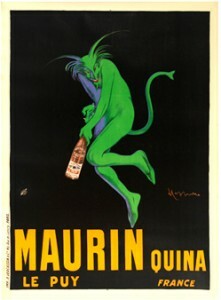 Cappiello’s genies, his devils, his fairies, his animals prance, dance, play, act, move and draw us into their drunken frenzy. 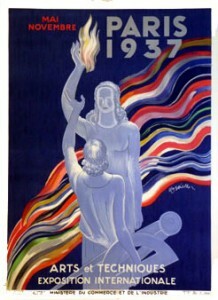 By opposition and to strike people, Cappiello sometimes draws static posters. So surprising for the passer-by whose eye he has trained to get used to his ‘arabesques’, that they stand out even more: Villiod, L’Oeuvre, Kub, L’Ami du Peuple. 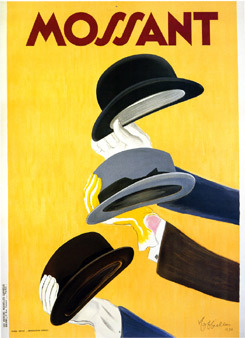 In the first decades of the 20th century, there are exclusively Cappiello or Cappiello imitators on city walls. 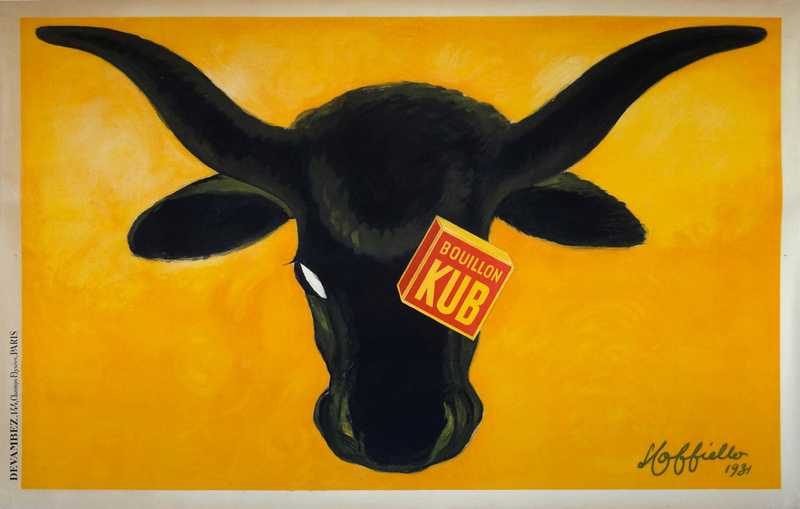 His advances in the conception of poster art are such that he influences his entire generation. ‘We all started by doing Cappiello’ say Carlu, Colin, Cassandre and Loupot in 1928. From 1899 to 1903, Cappiello remains first and foremost a caricaturist. 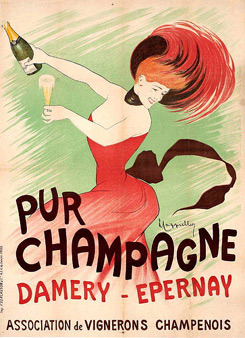 Like Chéret, he calls on beautiful women that look like they have come straight out of a music hall: corseted waist, plunging neckline, always smiling, enticing even sometimes (‘Le Frou-Frou’, his first poster, ‘Absinthe Gempp Pernod’, ‘Pur Champagne Damery’). 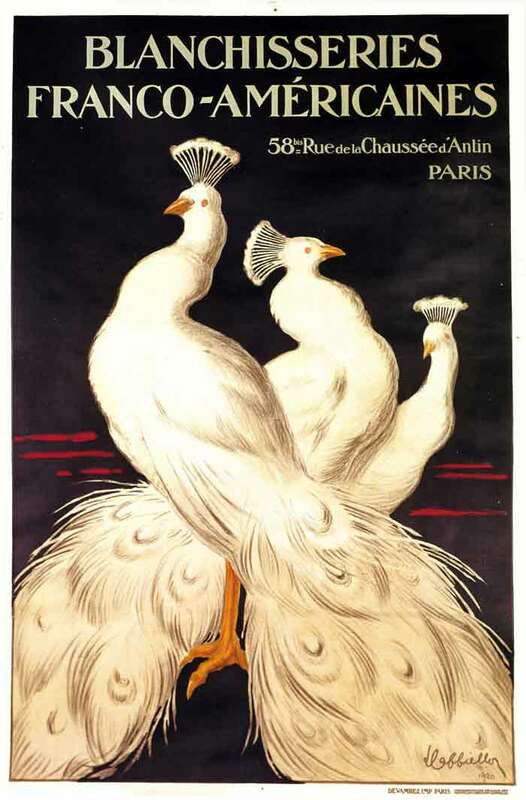 He draws caricatures for posters of artists starring in plays and magazines: Odette Dulac, Réjane, Louise Balthy, Polaire; but also for posters of consumer goods: Jeanne Granier for ‘L. 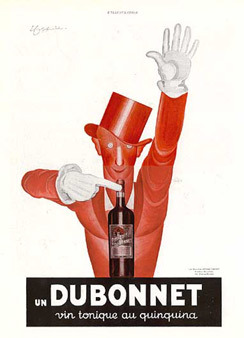 Segol Fils’ wines and numerous actors and actresses for the ‘Nouilles-Macaronis FERRARI‘ in particular, as we saw in Cappiello’s caricatures page earlier. Which is the same as if we used the trendiest celebrities in show business to promote pasta! A guaranteed success. He starts to paint his characters in movement. It is the beginning of what he will call ‘the arabesque’: ‘E. 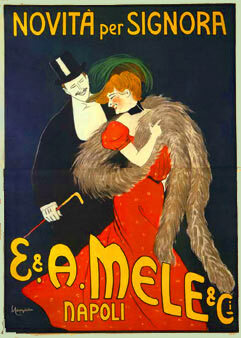 & A. Mele’, ‘Absinthe Ducros fils’. 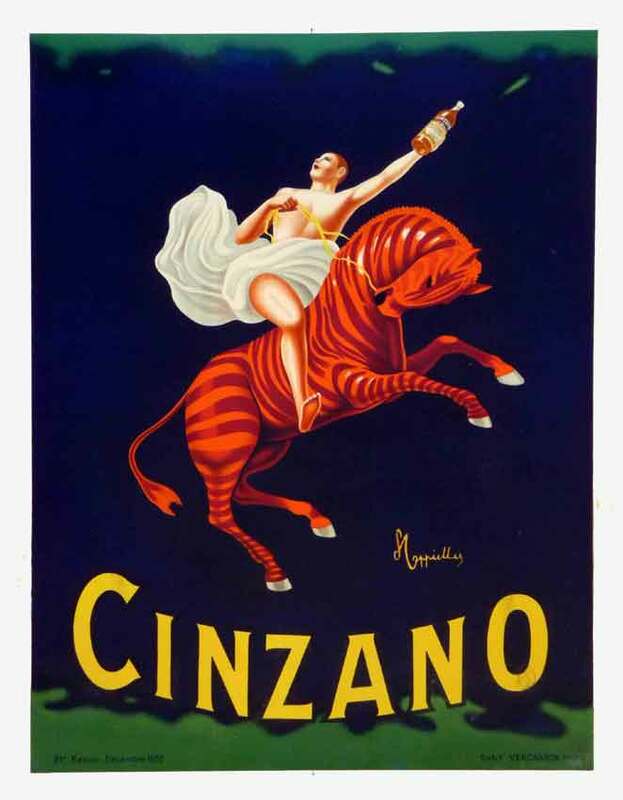 In 1903, for the first time Cappiello dares to paint a red horse on the walls. 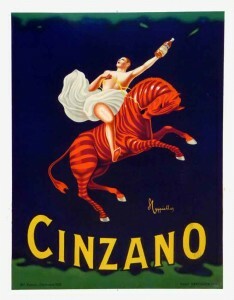 The horse is moreover ridden by an Amazon in green. The shock of the colors and the fury of the horse strike the public. 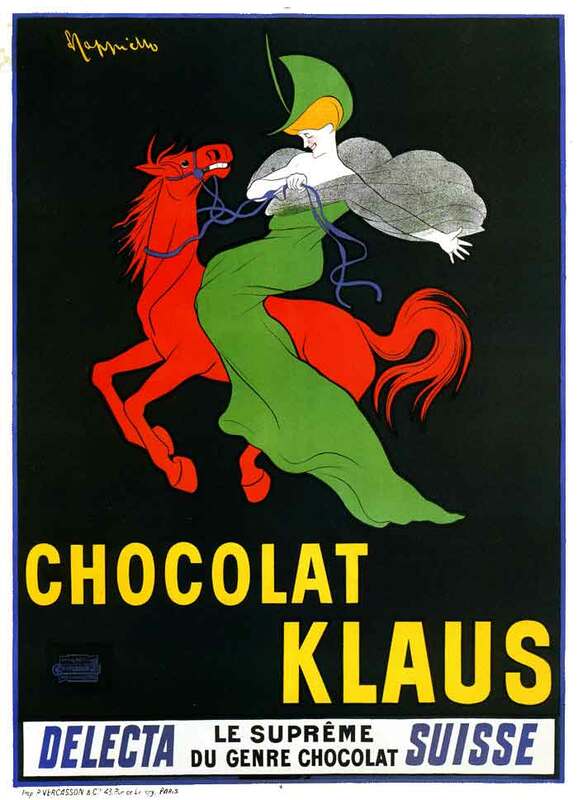 Everyone starts talking about and buying Klaus chocolate. The horse and its Amazon will stay on the chocolate bars until 2004. 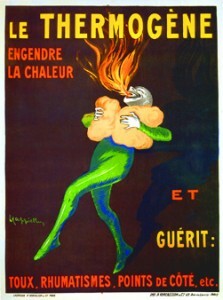 A bit later, in 1909, a new brilliant idea: a sick pale and green Pierrot using Thermogène starts spitting fire and feels a lot better. This Pierrot is still on packets of Thermogène sold in pharmacies. His artistic qualities are so extraordinary that he does not go out of fashion. Cappiello creates an entire world of fruits, flowers, birds, peacocks, horses, zebras, lions, elephants, but also of devils, harlequins, white people, black people, Asian people, children, drunkards, fauns, etc… Cappiello reinvents the Italian Comedy and makes it vibrant, enthralling, joyful, and wild in a symphony of colors, of fireworks even. He abandons detail for simplicity. He privileges strength and authority rather than charm. With his Bouillon Kub poster: an ox’s head with a Bouillon Kub packet in one eye counterpart to an eyelash on the other white eye, the arabesque is no longer there, but the surprise is complete for the passer-by: the sobriety of the subject, the authority in the message. For this period, we can also name the following posters: l’Ami du Peuple, Dubonnet, L’Oeuvre, Bailly, Paris 1937, Mossant, etc… Cappiello made almost 2000 posters from 1899 until the beginning of the Second World War in 1939, so over 40 years. He managed to hang on for so long by regularly reevaluating himself and remained the main innovator of his generation. 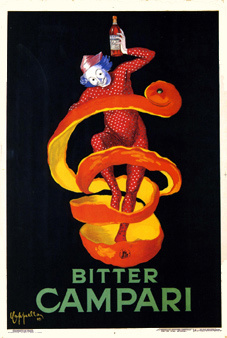 Despite this extraordinary production, Cappiello could not limit himself to just poster art. He kept on making portraits and engaged in all sorts of decoration and illustration projects which we will talk about in the next pages. 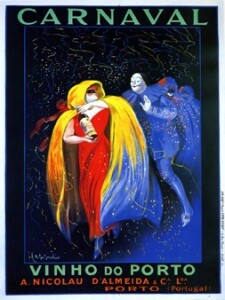 If you would like to see more posters by Cappiello, we suggest you to look the ‘Diaporama‘ or better, to go to the catalog raisonné website of his posters.